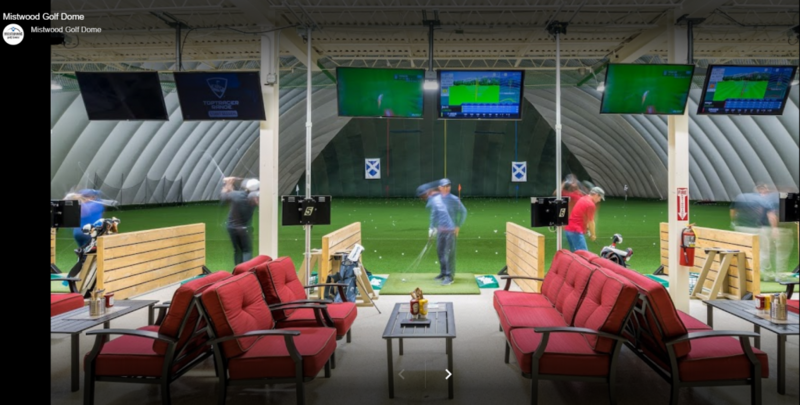 During the freezing winter days that gripped the Midwest earlier this year Mistwood Golf Dome in Bolingbrook, IL was having issues heating the sitting area behind the hitting zone where patrons gathered with refreshments. 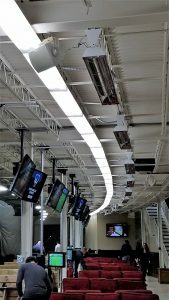 The Mistwood Golf Dome is held up by two large make up air units (direct fired gas heat) and the first floor was heated with in-floor hydronic radiant heating systems. However, it was still getting cold in both this area and the second level of the hitting areas. They came to Greg Tomsick of TEC (a Bolingbrook resident) for a solution. He recommended 13 Schwank Electric Infrared Heaters since the ceiling was too low for tubular infrared system and a hydronic heating system that was already in place couldn’t keep up with the demanding cold weather. 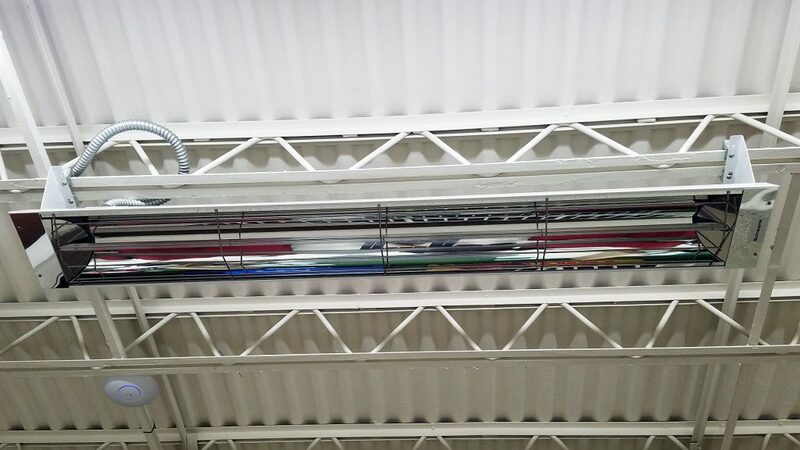 Greg worked with MDC Mechanical based out of Sugar Grove, IL to do the installation, and both agreed that the Schwank Electric Infrared Heaters were the perfect product for this type of application. Since completing the installation, Mistwood Golf Dome has been one satisfied customer, all while enjoying a comfortable 72 degrees in their seating area!